But before tackling the wrapping, you gotta deal with the gift buying. 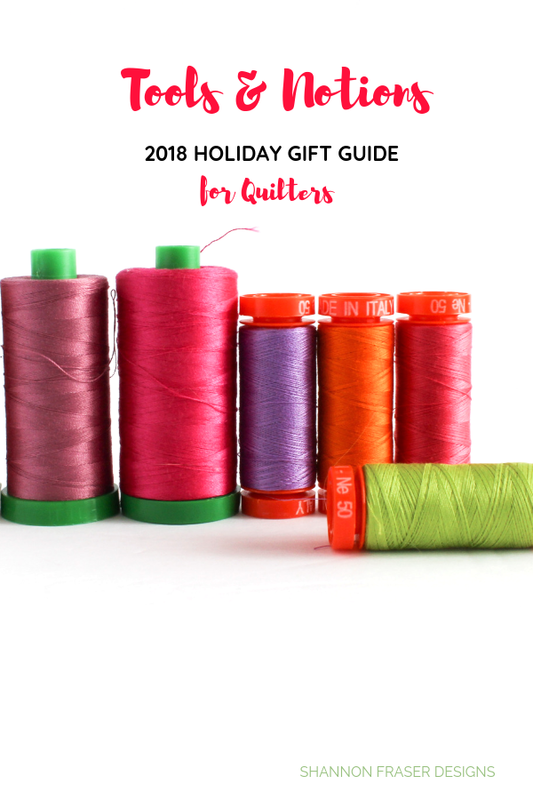 And, let’s face it, buying for us quilters can be a challenge. So, do your family, friends, neighbors and co-workers a hand and HELP them out! They’re not mind readers (or, so I’ve been told 😉) and most haven’t a clue what goes into this quilty passion of ours. So, do them a solid and text or email them this link. Go ahead, I’ll wait! 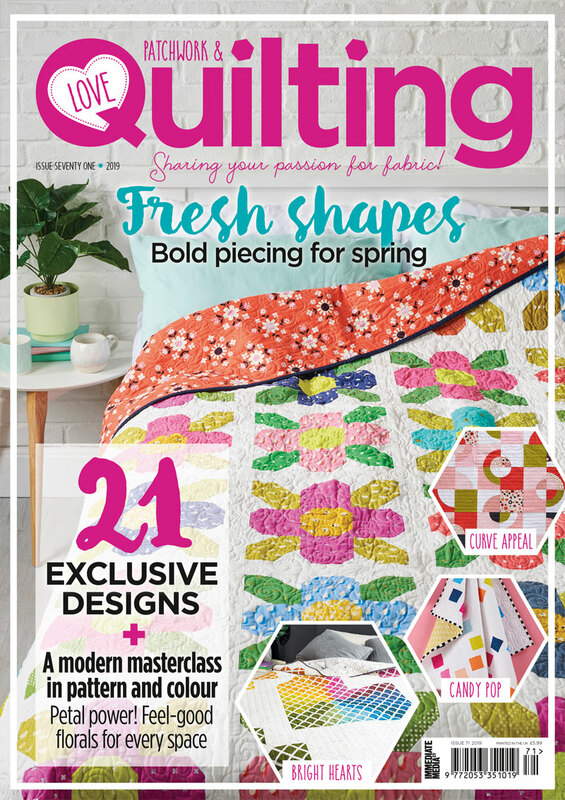 Now you can sit back and relax knowing that only fun and quiltyrific (not technically a word, but it works, doesn’t it?!) goodies are heading your way this holiday season! Let’s start with the big guns, shall we?! 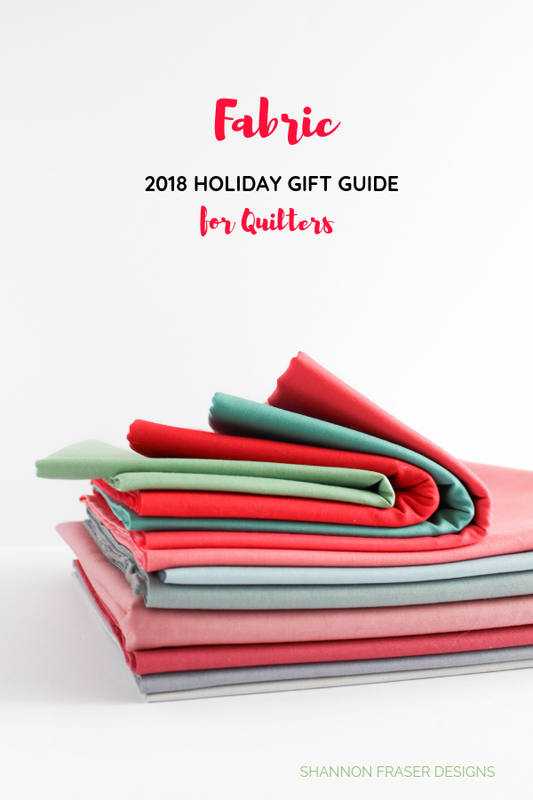 Your quilt won’t get very far without fabric, but with such a vast selection out there, do you REA-lly want to leave that up to chance on “what kind” of fabric they’ll get you? See a full list of online fabric retailers here. Obvi notions are THE funnest to look at and stock. They add personality and flare to a sewing space, while also (hopefully) being practical. Pretty and practical – we like those. Here are some “must haves” and some “fun to have”. More to come in the 2018 Ultimate Stocking Stuffer list (here's 2017 in the meantime) 😉. I recently shared that I finally finished my first cone of thread. I was dubious as to whether this was a wise investment, but it turns out I haven’t had to think about replacing my thread spool in a year and 7 months. Now that’s what I call sewing peace of mind! Second cone is officially underway, and I encourage you to go BIG and take the plunge with the cones. While you’re at it, pick-up their colour card so matching your thread to your project is a breeze. Have you heard that tacking down your binding with glue first results in some primo machine binding results? This is the one I keep meaning to pick up to help me with my machine binding game. In case you missed it, here are tips on how to create your binding and this one walks you through hand binding. 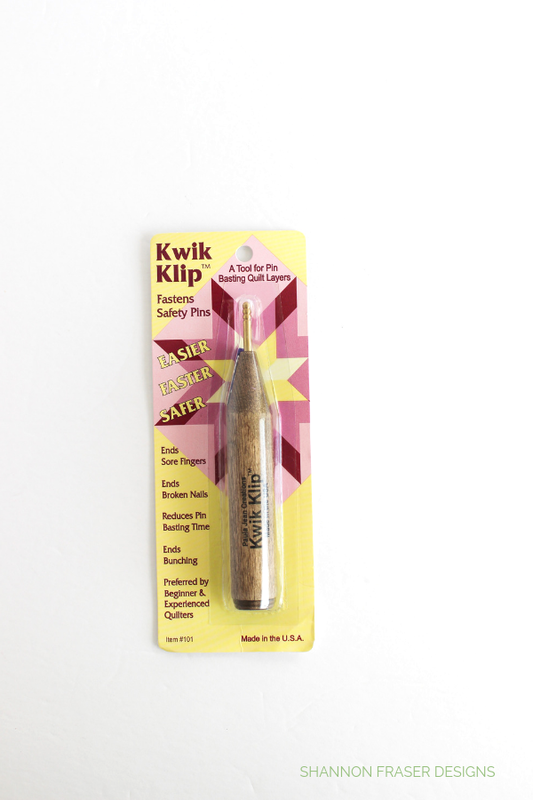 So many of you raved about these needles when I shared my How to Bury Threads tutorial. They’re now on my wish list! I believe I shared this last year, but in case you missed it and aren’t already on the Kwik Klip band wagon, you must GET ON the band wagon ASAP. This little klippy thing is super handy. Especially if you suffer from any pain, stiffness, achiness, throbbing in your hands (yup, me too ☹). This little wonder does an amazing job of not only speeding up the entire pin basting session. It does it while inflicting so much less strain on your hands. Total game changer. Grab yours here. I keep meaning to pick-up a pair of these scissors which I keep hearing really great things about. Have you tried them? Do you have a love hate relationship with your self-healing cutting mat, one in which is doesn’t “self-heal” that effectively? Now, I may or may not be an aggressive cuter, but surely, they’re not supposed to start shredding apart on you (which has happened ALL brands tested to date). I’ve heard good things about this one. And I’m tempted. Plus, it feels less painful if I get it as a gift rather than spend those precious fabric dollars! Rulers go hand in hand with our cutting mats and with all the strips involved in quilting, the Stripology ruler seems like a no brainer. I recently changed my ironing board cover, but if I were redoing my pressing station, I’d want to incorporate either this one or maybe this wool mat. There’s a whole gammed of irons to choose from these days. 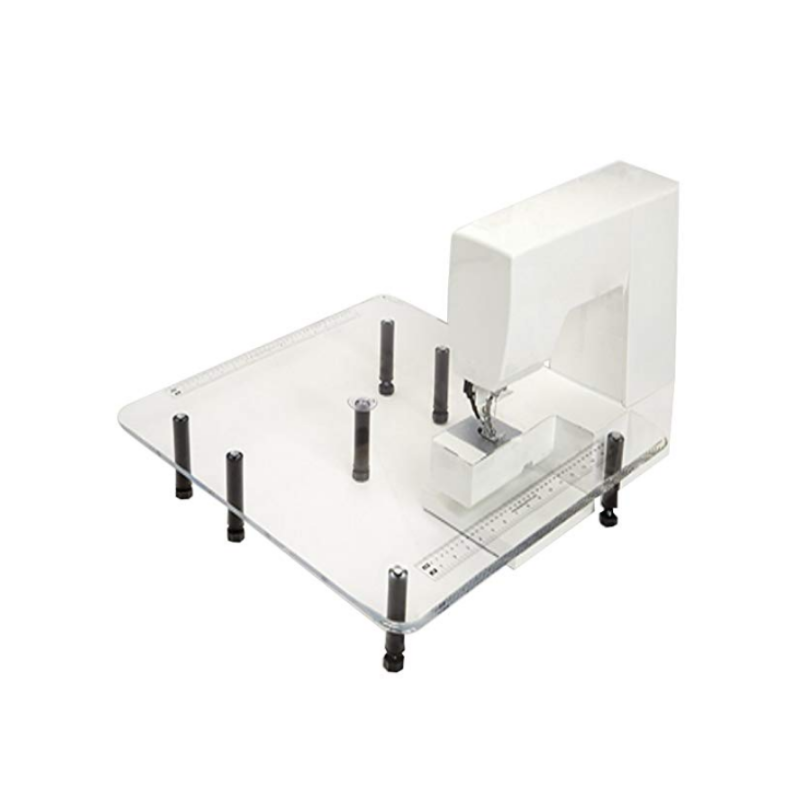 From super inexpensive, to ones with funky pop up mechanism, to full on pressing systems. I’ve heard pros and cons about all of them, so I think it just comes down to preference. My favourite is this one. I’m on my second one (first one lasted at least 5 years) and I still adore it. Oh, and don't forget your spray! 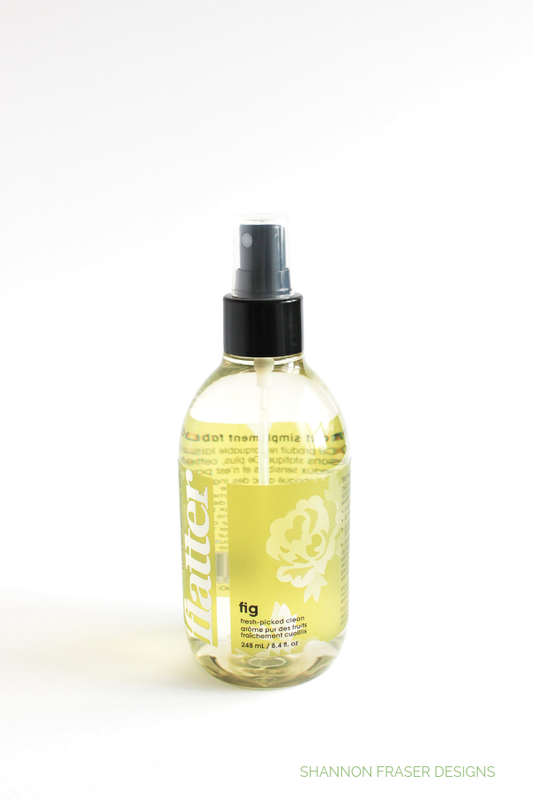 Love this stuff - it smells amazing and helps get my wrinkles out! AnneMarie Chany – are you a BOM lover? 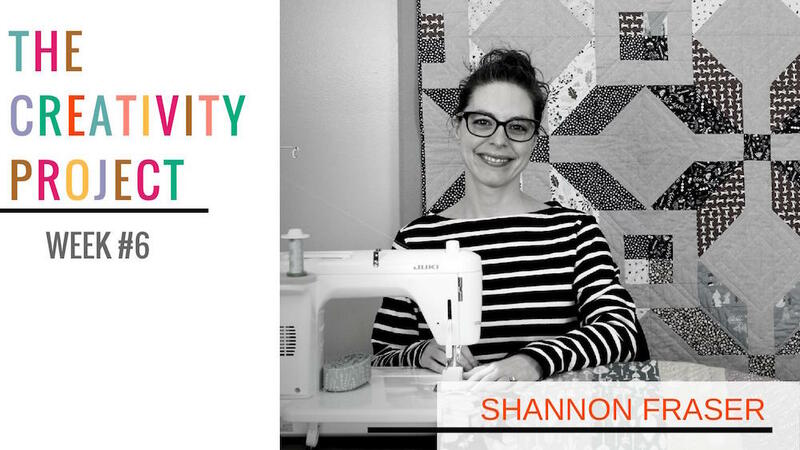 Then you’ll definitely want to check out AnneMarie Chany’s latest Conversation Row of the Month (ROM) sew-a-long (SAL) that starts January 2019. You can find the pattern here. Initial K Studio – I love Kristi’s modern aesthetic and love that she includes lots of negative space in her designs. Modern Handcraft – if you’re looking for bold and bright then Nicole has you covered. 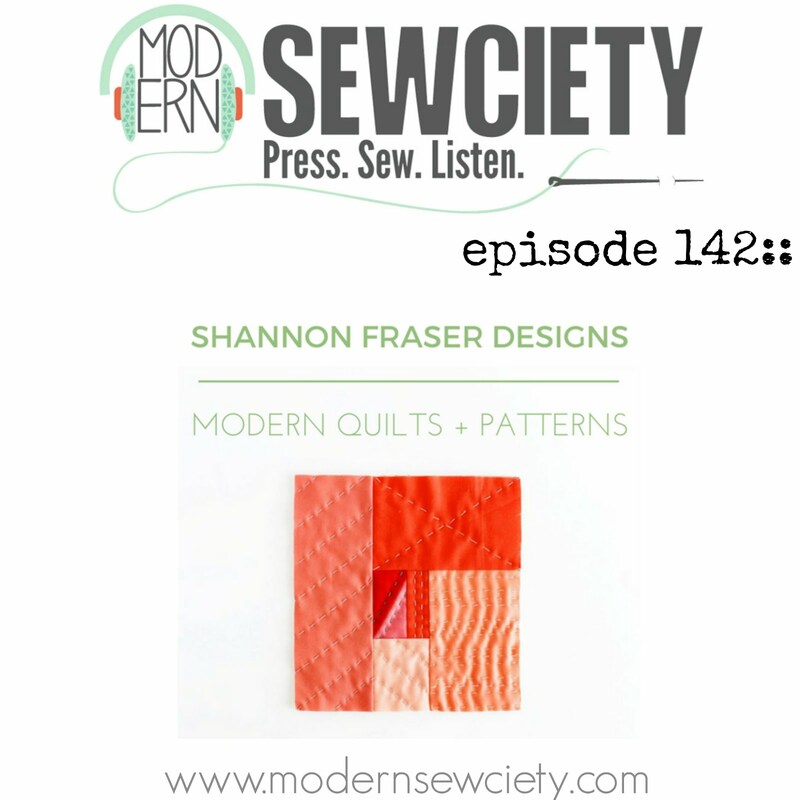 Shannon Fraser Designs – oh, hi! That’s me 😉 My quilt patterns are definitely modern in feel but can also be paired with more traditional colours to mix it up. If you’re looking for a holiday themed one the Winter Star or Irish Vortex would be perfect for you! In fact, I made a holiday themed one for my mum last Christmas! Suzy Quilts – you know I just adore Suzy. I’ve tested for her several times and always have fun with her patterns. Tough to pick a fave! 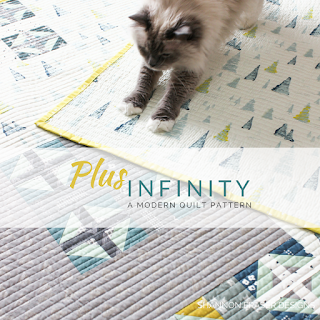 Village Bound Quilts – if you love mid century modern design, then Tiffany’s your girl. Her patterns are always so clean and thoughtful with super easy to follow patterns. 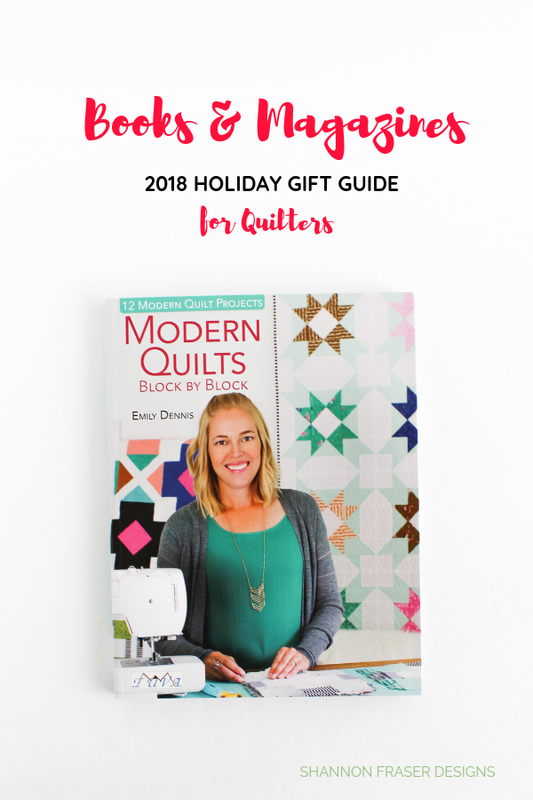 Modern Quilts Block by Block – I was lucky enough to get a copy from Emily Dennis as part of her book hop I participated in. 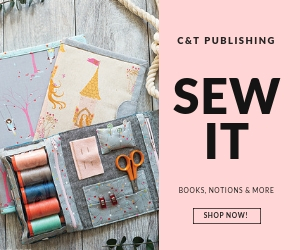 This is such a fun book and works great for both beginner and advanced quilters. 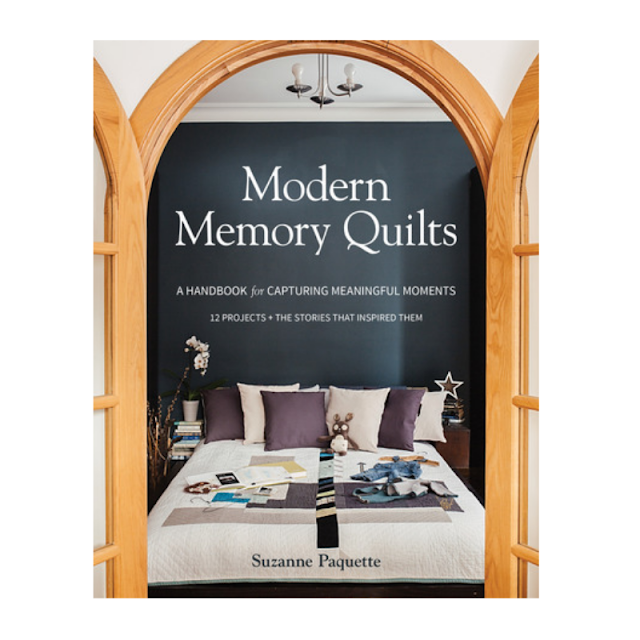 Modern Memory Quilts – This is a new release (pre-order or available Jan 1, 2019) by my fellow Montreal Modern Quilt Guild member Suzanne Paquette of Atelier Six Design! 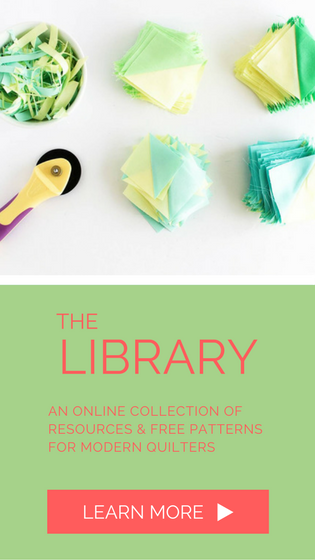 I have been asked quite a few times about memory quilts and I’m thrilled to now have a resource to point you to. Suzanne is well versed in designing and making memory quilts, so if you want to create memory quilts, this is a must for you. 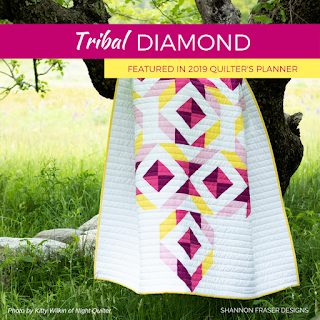 Modern Quilts – This is on my wish list as I find the roundup of the quilts featured at QuiltCon and by members to be super inspiring. Modern Art Quilts – if you’re looking to step outside your quilty comfort zone, you might want to consider art quilts. It’s something I’ve been exploring more of and it’s been a lot of fun. 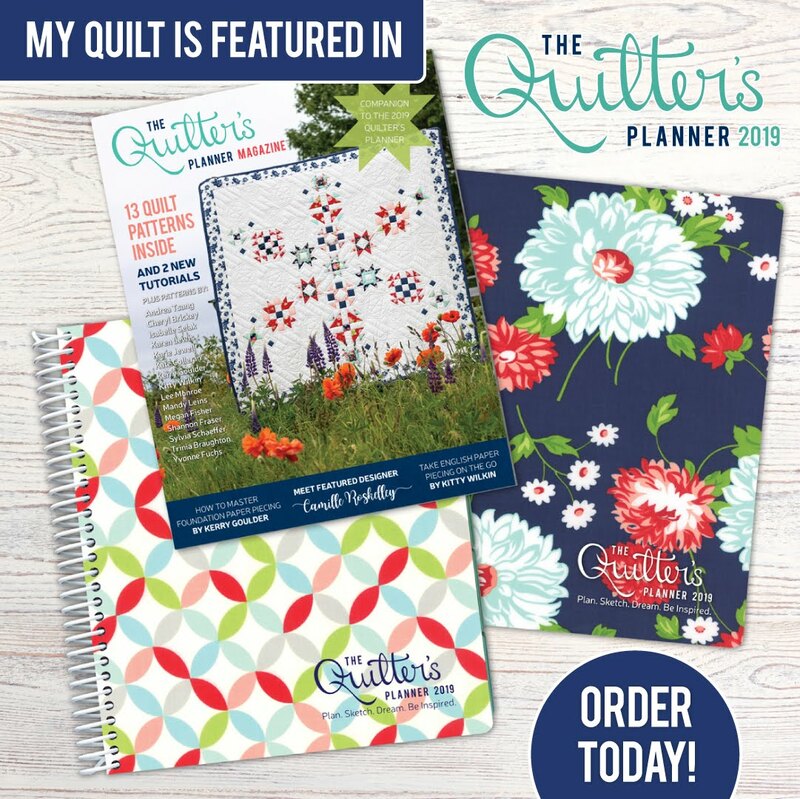 The Quilter’s Planner 2019 – I adore my planner and use her every day. You can read about how much I love her here, here and here (the 3 years I’ve had one 😉) if you want to know ALL the reasons you should get one. 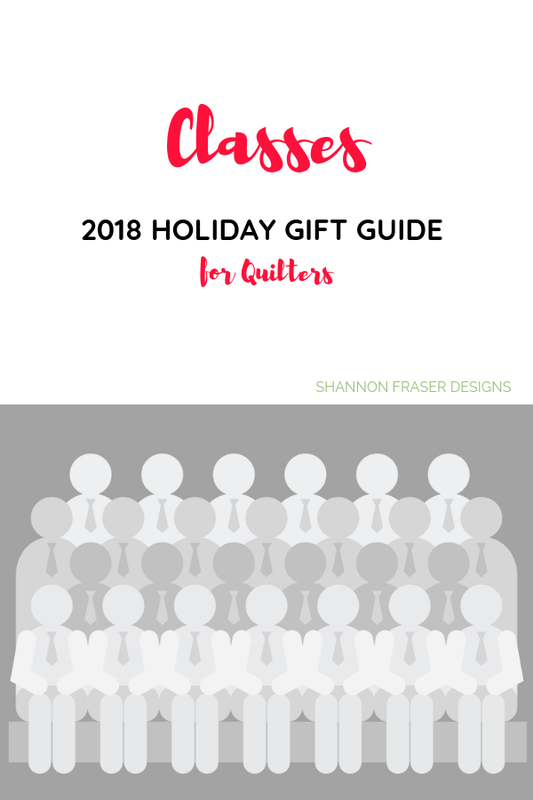 Otherwise, grab yourown here and make 2019 your most quilty focused ever! 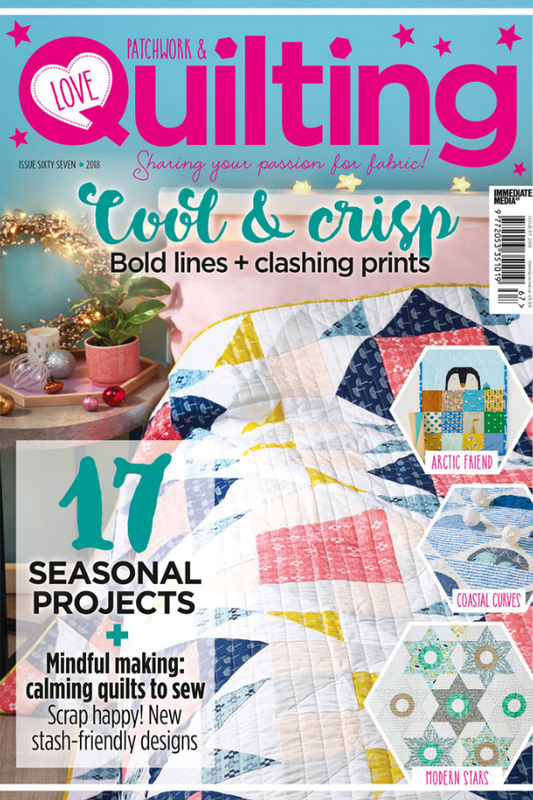 Love Patchwork & Quilting – I love modern magazine based in the UK. I love that it’s a mix of both modern and traditional, with lots of fun articles tuck in there too. Sign up for an annual digital subscription or get the latest issue. 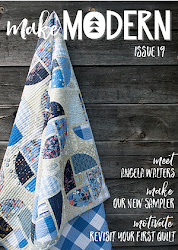 Modern Patchwork – I’m relatively new to Modern Patchwork, but it has great modern projects and articles from the issues I’ve seen. Snag a copy here. 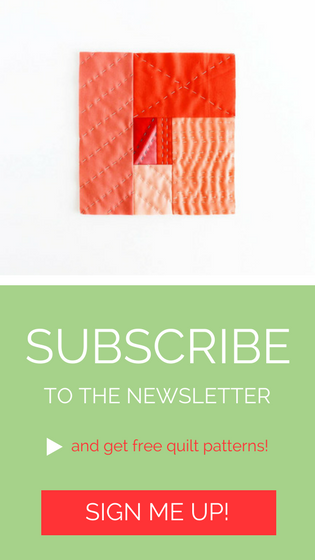 Make Modern – this is a digital only magazine run by 3 talented ladies based in Australia. 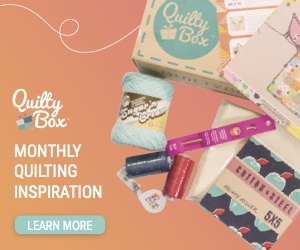 Did you know Australia has a hopping crafting/quilting community? 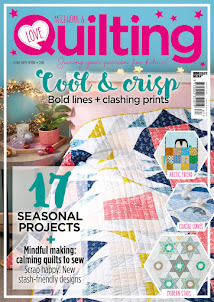 Plus, I’ve seen quilters featured from all over the world, so lots to be inspired by. UPPERCASE – a Canadian indie magazine that is dedicated to us creatives and they just happen to be celebrating their 10th anniversary this January! 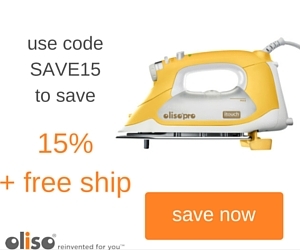 Sign up today and use code future10 for 15% off your subscription. 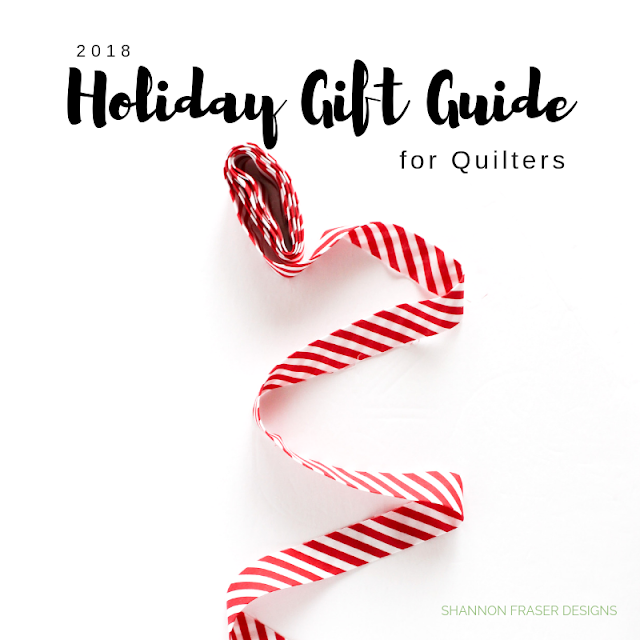 Wise Craft – Blair Stocker has put together a fully comprehensive online workshop that will walk you through designing your own quilt and thinking of new directions to take your quilts in. The course is 6 weeks long and you can learn more here. 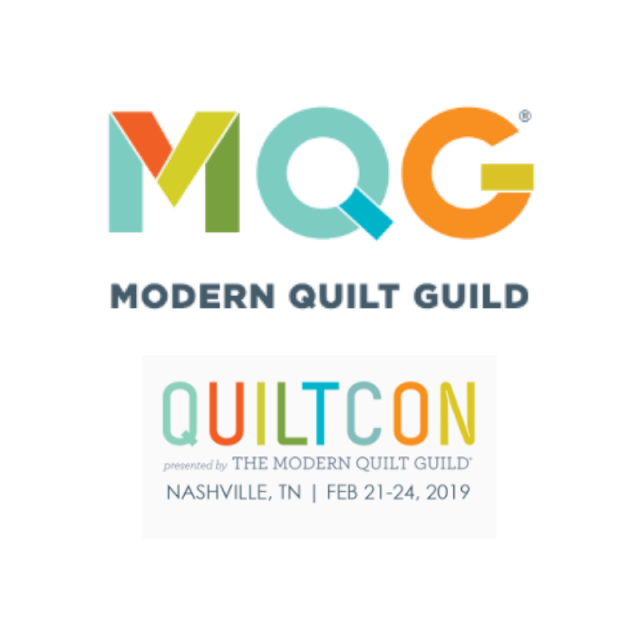 QuiltCon course – so many of the courses are already sold out, but here’s the schedule just in case you’re heading to Nashville in February. Otherwise, there’s always 2020! 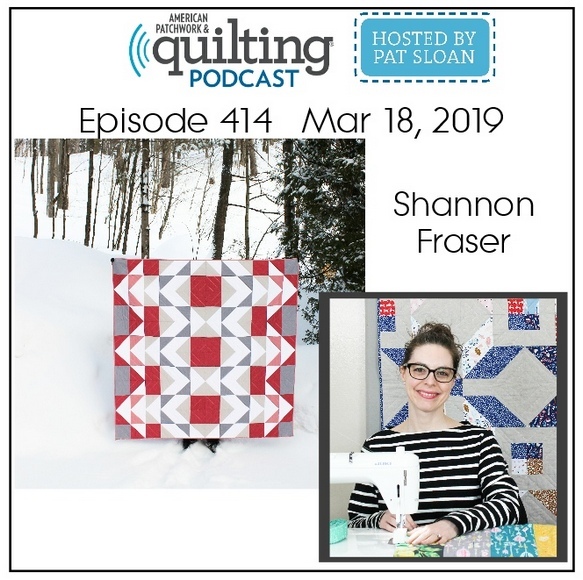 Guild membership – I love being a part of our community and my local Montreal Modern Quilt Guild is no exception. I wish I could get to more meetings, but, when I do, I always love catching up with my fellow members and seeing their quilts during show and tell. Check The MQG to see if there’s a chapter in your area. I know some people are all about getting “dressed” to get the day going, but I find I work best in comfy gear. So, you’ll normally find me in leggings with a comfy shirt. In the winter, that usually means some form of sweatshirt to keep me nice and toasty. 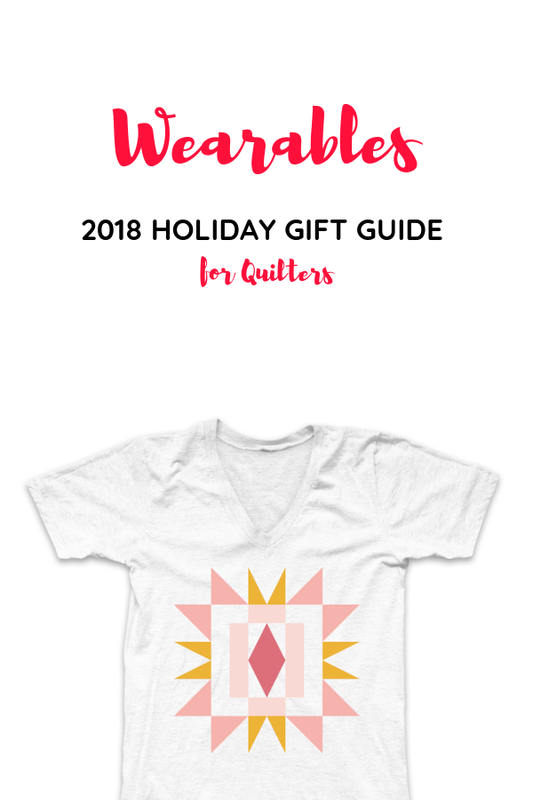 I’m thinking adding this fun quilting themed one would be apropos! They’ve also got these fun t-shirts! It’s all great to have your essential tools, but if you don’t have a spot to store all these wonderful items, it’s going to start to feel like your living out of a suitcase and that’s never fun. 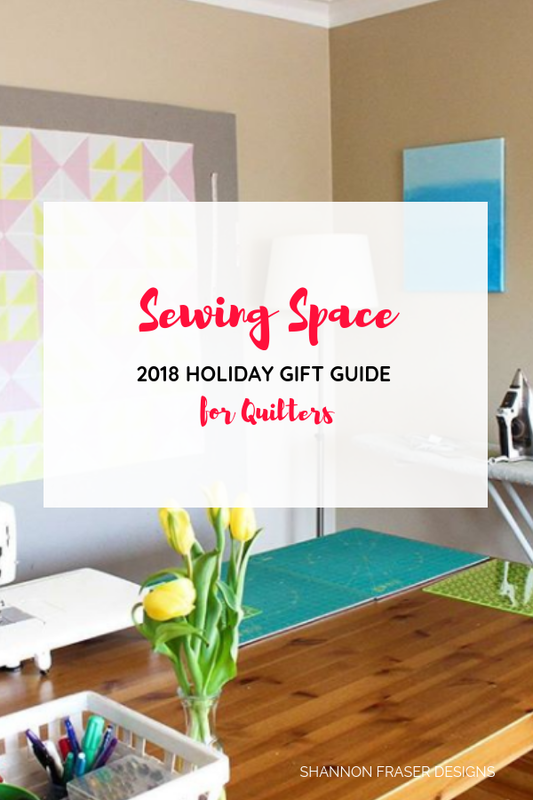 It took me awhile to start investing in my sewing space, but once I did, it felt amazing! The first big change I made was getting a storage cabinet for my fabric. This was a game changer, my friend! Before my fabric was scattered in all kinds of boxes, bags and bins. Now, I just open my cabinet doors and stare at the pretty fabric. 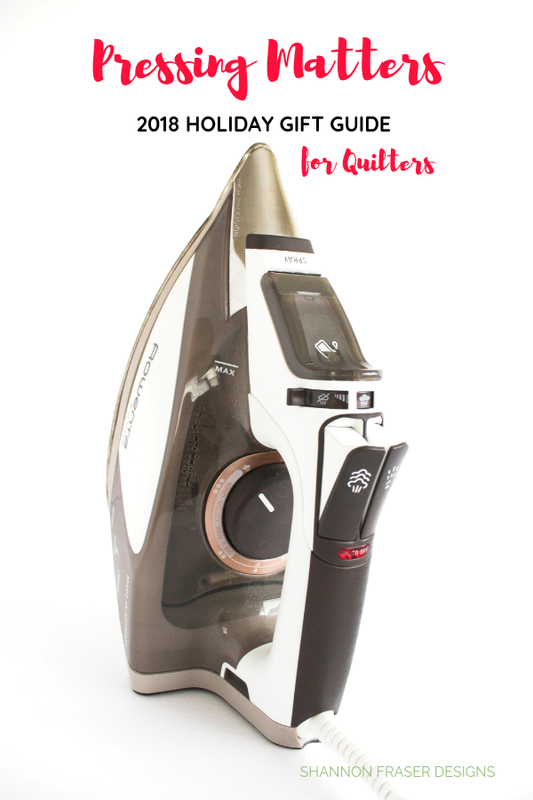 It makes fabrics pulls a dream and the clean up is super easy too. I got this shelving unit from Ikea and then added these doors. The doors help keep the dust and Pips’ hair out, plus it protects my fabrics from the sun. Win-win all around. You know I sew at the dining table, which currently suits me just fine. 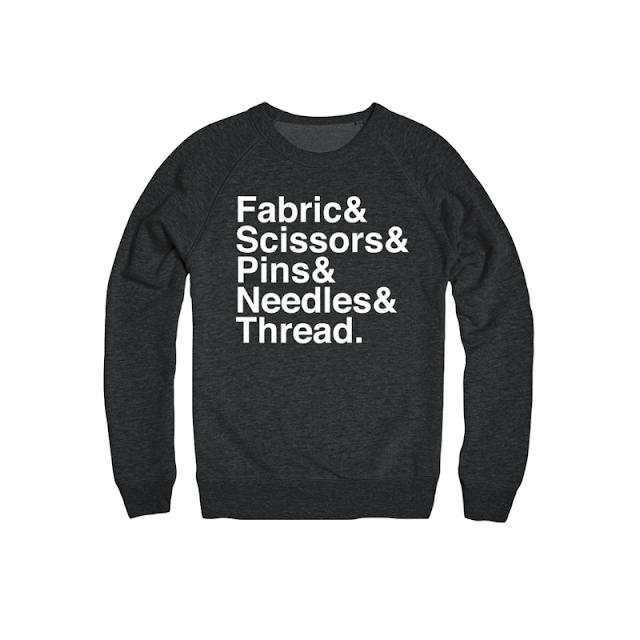 But I know there will come a day where I will want to have a room dedicated to my sewing. Plus, my ageing back will thank me for getting a counter height cutting table 😉 With that in mind, I’m eyeing this sewing table and either this cutting table. I like the idea of having storage underneath! I also like the idea of this one which can be moved up or down. 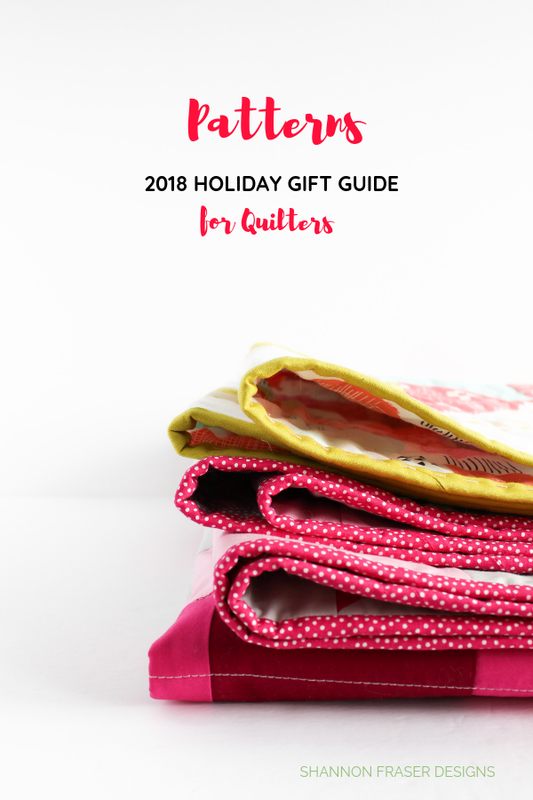 To make things even easier, I’ve also rounded up some of these ideas + more in my online Holiday Gift Guide. There’s also last years’ list, which still has lots of great ideas. Tell me, what's on your wish list this year?